The iStraxx Company was founded by the VirtueMart core team members, which leads and protects the VirtueMart project. We spend more than 50% of our workload into VirtueMart. Our self-imposed task is to improve VirtueMart every day by solving issues, improving efficiency, and adding features. The VirtueMart extension directory gives 3rd party developers the opportunity to sell their extensions, easily to VirtueMart end users and developers alike. 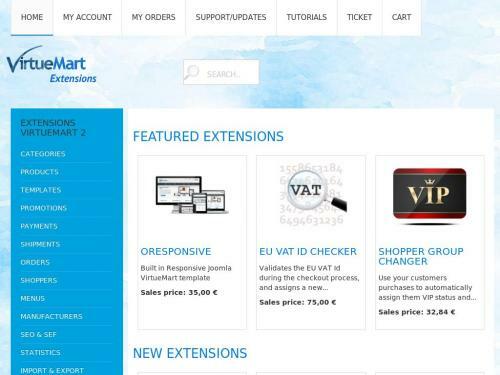 End users will find high quality extensions, which have been approved by the VirtueMart team. The iStraxx ensures and steers the steady and ongoing development of VirtueMart to become the best ecommerce solution of choice.